Guaranteed 3 pieces of limited edition artwork, one each from the 3 artists in the collection. After 30 shares are sold another artist will join and you will receive 4 pieces of limited edition artwork. After 40 shares are sold another artist will join and you will receive 5 pieces of limited edition artwork. Featured works could include items such as: a limited run of screen-prints, a collection of photographs, tickets to an upcoming performance or event, letterpress editions of a poem, a short story or a zine, a special run vinyl record or mixtape, or small original paintings. 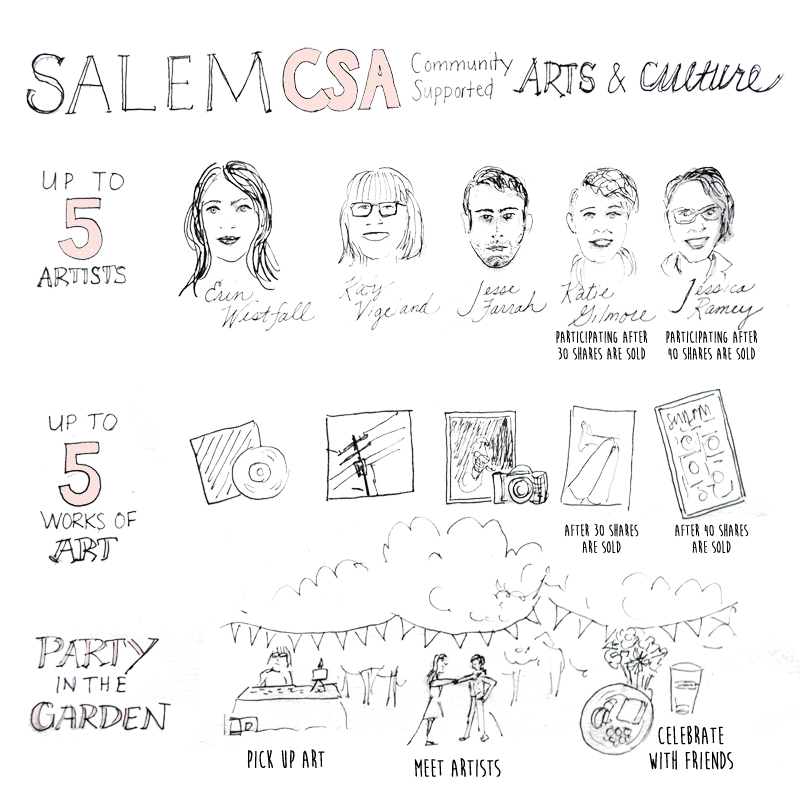 Each share will include one piece from each of the CSA featured artists and may also include “bumper crop” of additional artwork and arts opportunities.